San Francisco, city of fog and light, nestled on the tip of the San Francisco Peninsula, is known by many names and for many reasons. A smallish city of only 800,000 souls, San Francisco is a Mecca for travelers and tourists. Its own citizens never tire of the beauty and diversity of the city’s neighborhoods. Every street is crammed full of history; restaurants and other small businesses flourish. San Francisco is also a center for world commerce. Many large corporations are located in the City or the surrounding Bay Area. One such company, known instantly by its landmark headquarters building, is Transamerica; its legendary building is the Pyramid. At one time, there may have been a San Francisco Life or Health Insurance Company. If so, no such company can now be easily found, at least by this reviewer. Therefore, this article will review the great Transamerica Company, http://www.transamerica.com/, and its portfolio of insurance programs. Transamerica began as the Bank of Italy, later to become the Bank of America, and was founded by A.P. Giannini. In 1930, Giannini purchased Occidental Life Insurance, an institution in San Francisco since the great earthquake of 1906. With the addition of Occidental and the later formation of Transamerica Life Insurance, the company eventually split from its banking roots and focused on its insurance lines. At one time or another, Transamerica also invested in and developed other business lines, ranging from airlines and rental cars to motion picture studios. Today, Transamerica, as a member of the international AEGON Group, is a global leader in the insurance and financial services industries. 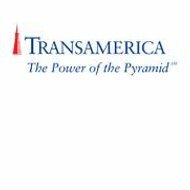 Transamerica has nine active life and casualty insurance subsidiaries. Each of these companies is rated separately by A.M. Best, Moody’s, Fitch, and Standard & Poor’s. The largest and best known, Transamerica Life Insurance Company, has consistently received high marks from all of these rating service organizations. A.M. Best rates Transamerica Life as superior, A+, while Fitch and Standard & Poor’s give AA-, excellent, grades. For Moody’s, Transamerica is rated A1. Funds may also be advanced in case of an emergency or sudden illness. Employee life programs include universal and whole life protection in addition to group and individual term life programs. Employers enjoy their own portal on the Transamerica website. Planning for retirement or other life events, planning for financial independence or for the growth and success of a business requires the kind of expert advice that Transamerica has been providing its clients for more than 100 years. A host of planning tools is available on the Insurance and Investment group webpage. Individual, personalized service may be obtained by contacting the Transamerica Financial Advisors Group. Transamerica is a large contributor to many worthwhile charitable causes. Transamerica also sponsors a number of sports centers and professional athletes including golfer, Zach Johnson. Transamerica also supports collegiate athletics with award programs like the “Johnny Unitas Golden Arm Award,” given each year to the nation’s best NCAA quarterback. The Transamerica Pyramid, built in the late 1960 has, stands as a symbol of pride not only for the company that built it, but also for all of the San Francisco Bay area.